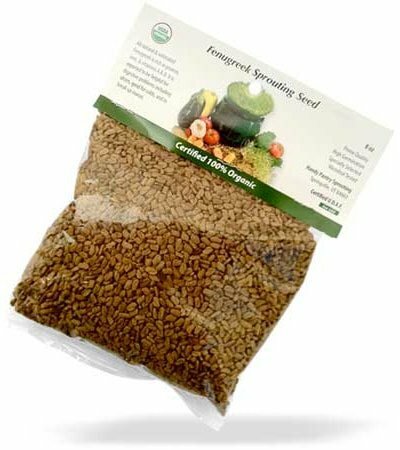 An important ingredient in Indian curry powder, Fenugreek Seeds are packed with protein, iron and vitamins A and D. Fresh sprouts also contain choline, an essential nutrient that can help to control cholesterol levels and assist with weight loss. (Research shows that 1 out of every 10 Americans gets enough choline). Use THREE Tbsp to yield approximately FOUR cups of sprouts. Certified ORGANIC. Packaged in convenient resealable bags. 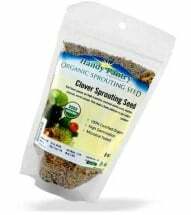 Soak 6-8 hours using 4 parts warm water to 1 part seed. Rinse and drain. 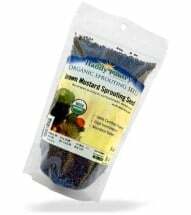 Spread evenly in sprouting container and keep in a dark growing area for 2-3 days. 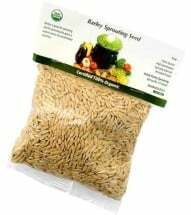 Sprouts MUST be RINSED and DRAINED 2-3 times per day during this period. Expose to sunlight on the 3rd day to develop chlorophyll. Rinse away hulls by immersing in cool water, let hulls float to the surface and skim off. Store in the refrigerator using an airtight container. 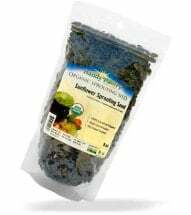 A potent source of concentrated nutrition, barley grass is a popular super-food! Crisp and spicy! Mustard packs a potent punch and will fire up your table fare. A taste treat with a nutty flavor that can’t be beat. High germination rates too! Chock-full of vitamins and isoflavones — known for their anti-cancer properties!